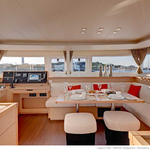 Vessel Lagoon 450 called Margeo XII has been built in 2017. 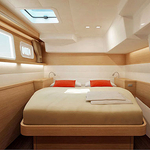 We offer this vessel from marina Athens just a few kilometers from Athens. Margeo XII is registered for 12 passengers. 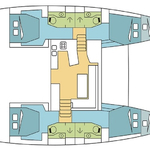 Layout of the vessel is 12. 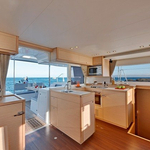 Lagoon 450 Margeo XII has 6 cabins. 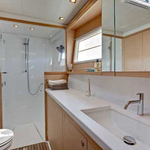 For comfort of passengers there are 4 heads with showers. You can fill the tank for fuel with 650.00 l l. and in water tank it goes even 900.00 l l. With engine 2 X 34 kW Margeo XII can navigate really fast. Margeo XII is 13.96 m long and 7.87 meters wide. Depth is 1.30 meters. 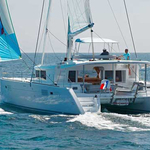 Find about more offers by opening this link here: Catamarans Athens. 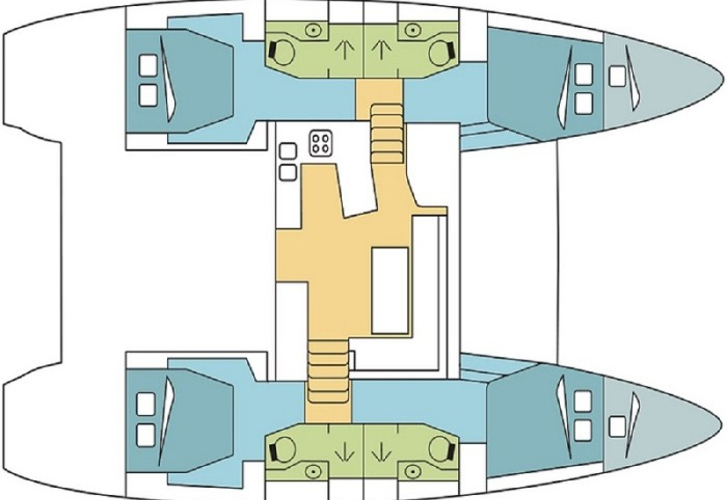 Vessel's equipment involves : 2 refrigerators, Autopilot, Plotter gps in cockpit, Bimini top, Dinghy, Electric winches, Hydraulic gangway, Wc pump electrical, Mainsail with lazy jack, Inverter 12v-220v, Solar panels. . Nonrefundable deposit is 3000.00 EUR. 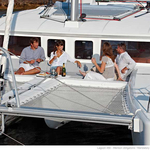 Choose our offer and enjoy your holidays on the deck of Margeo XII. 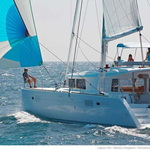 This Lagoon 450 from Athens from Greece Use our website to find by clicking on this link: Catamarans Greece.